WASHINGTON (AP) - When WikiLeaks published the hacked emails of Hillary Clinton's campaign manager last year, then-candidate Donald Trump had one thing to say: "I love WikiLeaks." But there wasn't a lot of love from the Trump administration Wednesday, after WikiLeaks published thousands of documents described as secret files about CIA hacking tools. 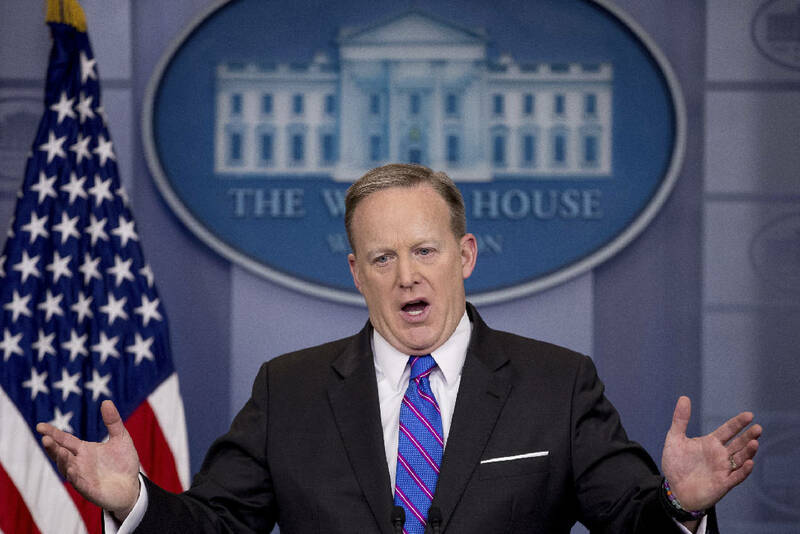 White House press secretary Sean Spicer answered questions on the latest WikiLeaks disclosure by saying that leaks of national security or classified information should have everybody "outraged." "This is the kind of disclosure that undermines our country, our security and our well-being," he said. The hacking tools described in the documents published Tuesday by WikiLeaks are used to break into computers, mobile phones and even smart TVs from companies like Apple, Google, Microsoft and Samsung. The documents describe clandestine methods for bypassing or defeating encryption, antivirus tools and other protective security features intended to keep the private information of citizens and corporations safe from prying eyes. U.S. government employees, including Trump, use many of the same products and internet services purportedly compromised by the tools. Spicer wouldn't confirm the authenticity of the hacks, saying it is not the government's policy to do so. But he insisted there is a "double standard" in the way Congress and other Democrats are responding to this latest revelation. Regarding Clinton, Spicer said, "There was complete outrage about the leaks that occurred; members calling for investigations to the leaks." After WikiLeaks released the hacked emails of Clinton campaign manager John Podesta last summer, Trump noted, "It's amazing how nothing is secret today!" WikiLeaks had also published thousands of emails hacked from the Democratic National Committee. Back then, Trump dismissed suggestions by Democrats, including his general election opponent, that the Russian government was behind the hacking, saying it was "probably China, or it could be somebody sitting in his bed." Trump added, "Russia, if you're listening, I hope you're able to find the 30,000 emails that are missing," referring to personal emails Clinton held back during an investigation into her use of a personal server while she was secretary of state. "I think you will probably be rewarded mightily by our press. Let's see if that happens," he said. After the election, Trump acknowledged the intelligence community's assessment, saying Russia was probably behind the DNC hacking. But on Tuesday, Spicer staunchly pushed back on suggestions that the administration was changing its tune now that it has been targeted. Spicer said there is a "big difference" between disclosing Podesta's private emails "and his undermining of Hillary Clinton and his thoughts on her on a personal nature, and the leaking of classified information. There is a massive, massive difference between those two things." He added, "It's interesting that we're hearing not as much outrage now when it comes to some of our issues of national security." Trump echoed the distinction in his February news conference, adding, "If John Podesta said that about me and he was working for me, I would have fired him so fast your head would have spun."